Matt Cavallo, MPH is a patient experience speaker, author, and podcaster who motivates audiences worldwide with his personal patient experience and genuine storytelling style. Matt inspires audiences of all types with his compelling personal patient experience story. Audiences relate to Matt’s authenticity and his ability to be vulnerable on stage. He will make your audience laugh, cry, and in the end, inspire hope. At age twenty-eight, Matt was diagnosed with Multiple Sclerosis. Seemingly overnight he went from a fully-functioning, healthy man to someone who was numb from the waist down and unable to walk. As a result of his diagnosis, Matt has dedicated his life to improving the patient experience. 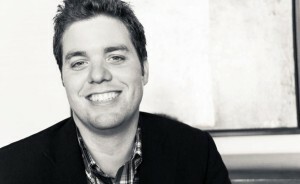 Matt Cavallo, MPH is the founder and Chief Empathy Officer of the PatientActivation Network. He is a patient experience thought leader who has been a keynote speaker for healthcare events across the country. Matt has been named among The Top 10 Social HealthMakers by WCG and his blog was selected as one of Healthline’s Top Multiple Sclerosis Blogs. His story of being diagnosed and overcoming the physical and emotional challenges associated with having a chronic disease can be read in his memoir, The Dog Story: A Journey into a New Life with Multiple Sclerosis.